As readers, we all share a longing to get comfortable and lose ourselves in a good book. We know full well that we will find the world and ourselves hidden in its pages. Our children are no different. They look forward to snuggling with their mother or father and bonding over the pages of a beautifully illustrated book. In these valuable moments, children enjoy the attention of their parent while simultaneously delving into a world of adventure and imagination. This scene was replicated in hundreds of homes across the country during the Mothers Matter Centre’s 5th annual Adopt-a-Reader campaign. The campaign launched in partnership with First Book Canada and with the support of TD Bank Group. 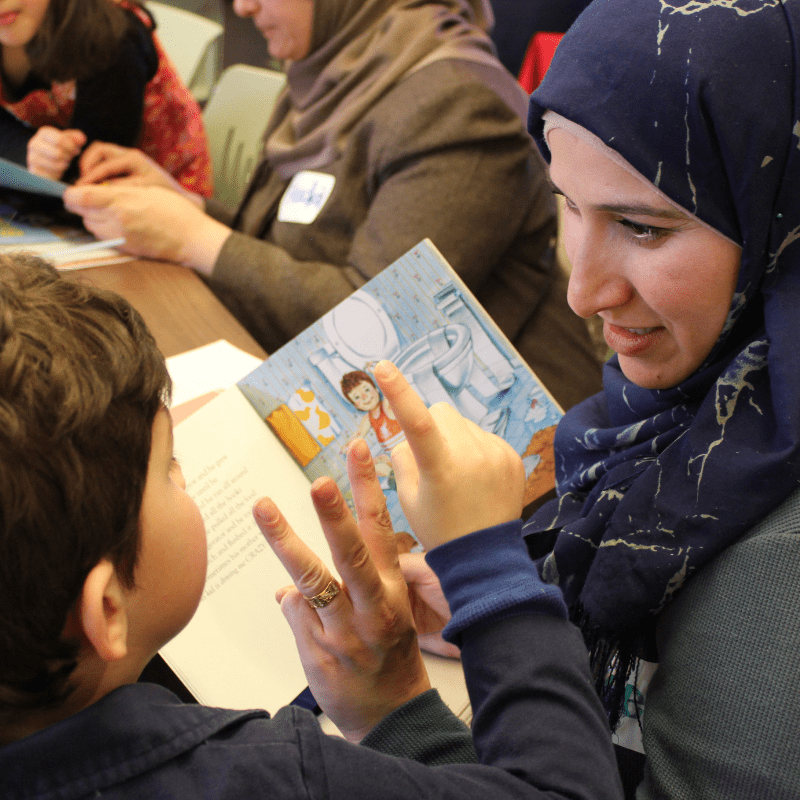 Starting on Family Day, 1,200 parents and 1,650 children across Canada joined Adopt-a-Reader. All participating families received two new books and practiced reading aloud to their children for 15 minutes every day. HIPPY parents supported the adopted parents: they provided them with useful tips for developing early literacy skills and sparking an early love of books. Over the span of 15 days, families read a total of 269,400 minutes together. At the end of the campaign, participating HIPPY sites held a Celebration of Reading event. Together, they celebrated the hard work of the families and marked their reading achievement. Children played games, ate delicious food, and made memories with one another. They also went home with an extra book. 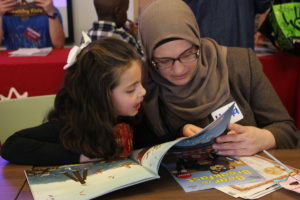 Emilie Buchwald, a popular children’s book author, beautifully noted, “Children are made readers on the laps of their parents,” and the Adopt-a-Reader Campaign creates the perfect setting to do just this.